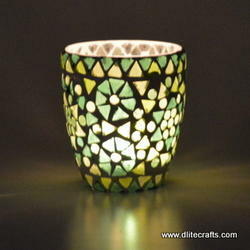 Being a leading enterprise of this industry, we are offering a huge range of Glass Votive Candle Holders. We are offering a comprehensive range of Wooden Tree T- Light Candle Holder. We are the leading organization in the industry to provide our clients the best quality array of Christmas Candle Holder. 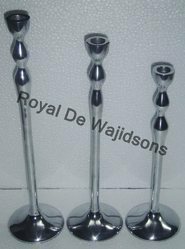 Owing to the expertise of our team of experienced professionals, we are providing our clients an exclusive range of Decorative Candle Holder. X-Mas Candle Holder is available in unique design to hold various candles together. It is capable to fill every corner of the place with the light. These are made of fine brass and are available in antique finish. Our holders are handcrafted to a high quality standard and offered as per customer's requirement. By keeping track with the market developments, we are engaged in offering an extensive range of X Mas Candle Holder. We offer our clients with a comprehensive range of Christmas Flake Candle Holders. These have the base in snowflake shapes and are manufactured in compliance with the prevailing market trends. Our craftsmen make use of quality raw materials and advanced technology whilst designing and fabricating these candle holders. Moreover, our range is offered to the clients at competitive prices. The grandeur of Christmas votive candle holders, forming part of our exclusive collection will enchant you with its utmost appeal. Size: 13.5x6" - 10x6"- 6x5.5"